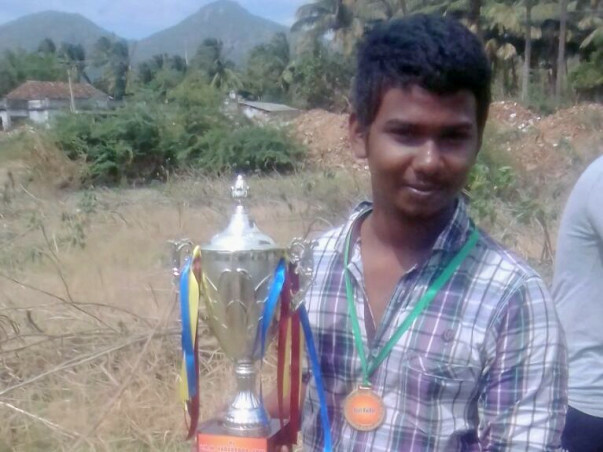 Help Kumar Pay His College Fees. I am really happy to get your help to support a young boy who lost his mother at the age of 1 and his father during his higher secondary. Currently he is living with a old-age grandmother(Age 70). She is also paralyzed. After fighting with relations. I am able to get him a college seat. But we supposed to pay 38000 per year. With the help of some kindful hearts and my own money. I paid 20000. We need another 18000 to settle his first year college fees. I hope, you will help Kumar to study further. You are seeding Kumar's education. Once he come in flying colors, he will help for other's education. 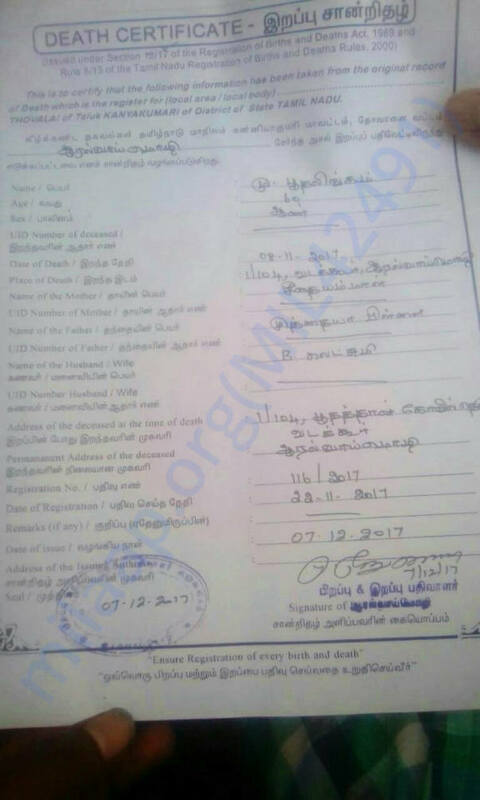 I will upload his identify card and college fees structure and his father's death certificate. Help a parentless boy to study further. Thanks for your enormous support and love. I had asked and received permission from College to pay the fees late by a couple of days, and the date is nearby now. Thank you for all the help till date to give me the education I need. Let us stretch and cover the last mile to achieve the goal amount. Thank you for your support. 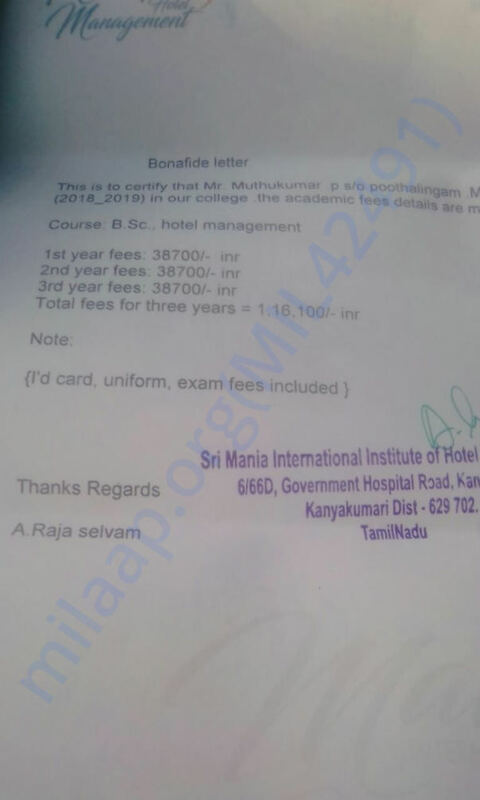 I have attached the proof for the exam fees paid (first semester) and I request all of you to help him for second-semester exam fees. Kindly keep sharing and supporting the campaign. Hope you join your hands with me to enlight Kumar's education. I had enormous support and lot of well wishes for Kumar. 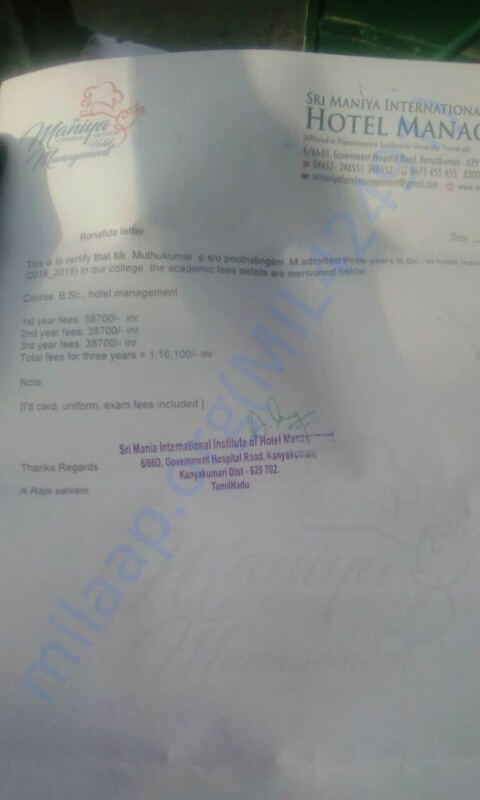 Exam fees has been revised by university recently. 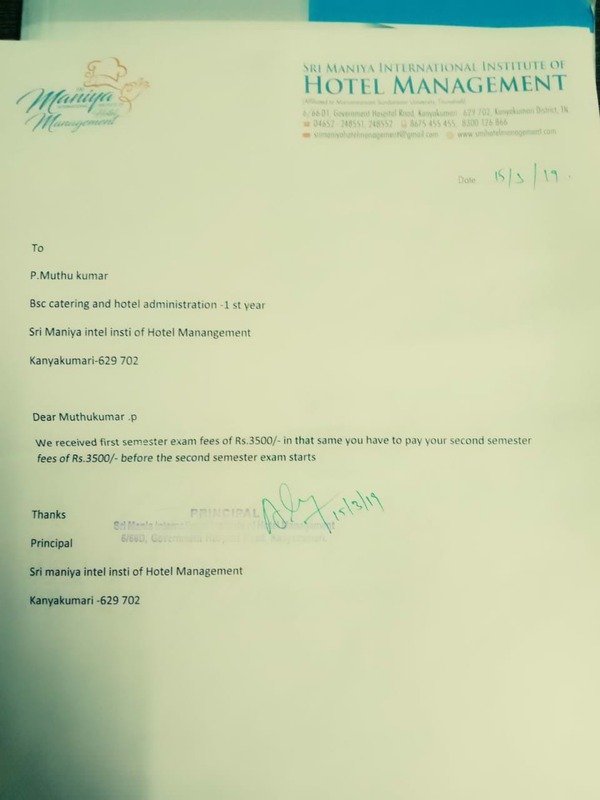 So I have to pay additional 6000 as exam fees for his two semesters (3000 per semester). Note: In the meanwhile, I have been sending 3000 per month for his food and accommodation. I hope you will join your hands with me for his educational needs. All the best dear Kumar. Dont stop studying. You can do it! Study well. God will help you.